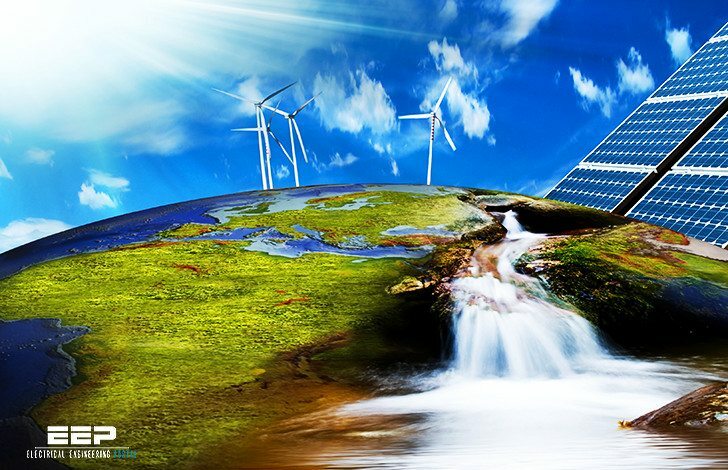 Renewable energy is energy which comes from natural resources such as sunlight, wind, rain, tides, and geothermal heat, which are renewable (naturally replenished). In 2008, about 19% of global final energy consumption came from renewables, with 13% coming from traditional biomass, which is mainly used for heating, and 3.2% from hydroelectricity. New renewables (small hydro, modern biomass, wind, solar, geothermal, and biofuels) accounted for another 2.7% and are growing very rapidly. The share of renewables in electricity generation is around 18%, with 15% of global electricity coming from hydroelectricity and 3% from new renewables. During the five-years from the end of 2004 through 2009, worldwide renewable energy capacity grew at rates of 10-60 percent annually for many technologies. For wind power and many other renewable technologies, growth accelerated in 2009 relative to the previous four years. More wind power capacity was added during 2009 than any other renewable technology. However, grid-connected PV increased the fastest of all renewables technologies, with a 60-percent annual average growth rate for the five-year period. Airflows can be used to run wind turbines. Modern wind turbines range from around 600 kW to 5 MW of rated power, although turbines with rated output of 1.5–3 MW have become the most common for commercial use; the power output of a turbine is a function of the cube of the wind speed, so as wind speed increases, power output increases dramatically. Areas where winds are stronger and more constant, such as offshore and high altitude sites, are preferred locations for wind farms. Typical capacity factors are 20-40%, with values at the upper end of the range in particularly favourable sites. Globally, the long-term technical potential of wind energy is believed to be five times total current global energy production, or 40 times current electricity demand. This could require large amounts of land to be used for wind turbines, particularly in areas of higher wind resources. Offshore resources experience mean wind speeds of ~90% greater than that of land, so offshore resources could contribute substantially more energy. Wind power is renewable and produces no greenhouse gases during operation, such as carbon dioxide and methane. The Hoover Dam when completed in 1936 was both the world’s largest electric-power generating station and the world’s largest concrete structure. Energy in water can be harnessed and used. Since water is about 800 times denser than air, even a slow flowing stream of water, or moderate sea swell, can yield considerable amounts of energy. Hydroelectric energy is a term usually reserved for large-scale hydroelectric dams. Examples are the Grand Coulee Dam in Washington State and the Akosombo Dam in Ghana. Micro hydro systems are hydroelectric power installations that typically produce up to 100 kW of power. They are often used in water rich areas as a remote-area power supply (RAPS). There are many of these installations around the world, including several delivering around 50 kW in the Solomon Islands. Damless hydro systems derive kinetic energy from rivers and oceans without using a dam. Ocean energy describes all the technologies to harness energy from the ocean and the sea. This includes marine current power, ocean thermal energy conversion, and tidal power. All documents, software and books are free to download. 1 A Guide To UK Mini-Hydro Developments . 2 Small Hydroelectric Plants . 3 Guide on How to Develop a Small Hydropower Plant . 4 Solar Heating of Buildings and Domestic Hot Water . 5 Passive Solar Buildings . 8 The History of Wind Energy, Electricity Generation from the Wind . 9 Wind Booklet – A Practical Guide for Farmers and Ranchers . 10 Photovoltaic Power Systems . 11 Protection requirements for a large scale wind park . 12 Overhead Highway Signs powered by Solar lighting . 13 Build Your Own Vertical Axis Wind Turbine . 14 Guide for Generator Condition Assessment In Hydropower Plant . 15 Guidelines For Erection, Testing and Commisioning of Small Hydro Power Plants . 16 Complete Guide To Photovoltaic Plants . 17 Energy Saver Guide – The Real Tips on Saving Money and Energy at Home . 18 Technical description of wind power plant (experiences and lessons learned) . 19 60 MW grid tied solar power plant with 115 kV/34.5 kV substation . 20 Technical comparison of two wind farms with a 33 kV and 66 kV collection grid . Kindly share the complete guide for design and installation and commissioning of mega watt solar power plant. why the motors are designed 1.1 kw 2.2 kw3.7 kw like that designed..
and also fuse rating 1a 2a 6a 10a 16a 32a etc… please give the reasons..
i would information on submissible solar pumps im from zimbabwe. i would like to pump under ground water. im an electrical artisan. Dear Friend, I want to aware about solar applications, as the people thinks its much expensive, but today its affordable . As the cost of solar panels came down i.e. Rs.45/- per Wp. Also the balance of system is available every where. So only we have to get it connect it & use. So please start to use it. I am integrator, till date installed 1500 solar street lights & 56 solar dual pumps for village drinking systems. i want to instal solar power for house hold purpose. please guide me how to make or assemble to get it done. this will help me lot.